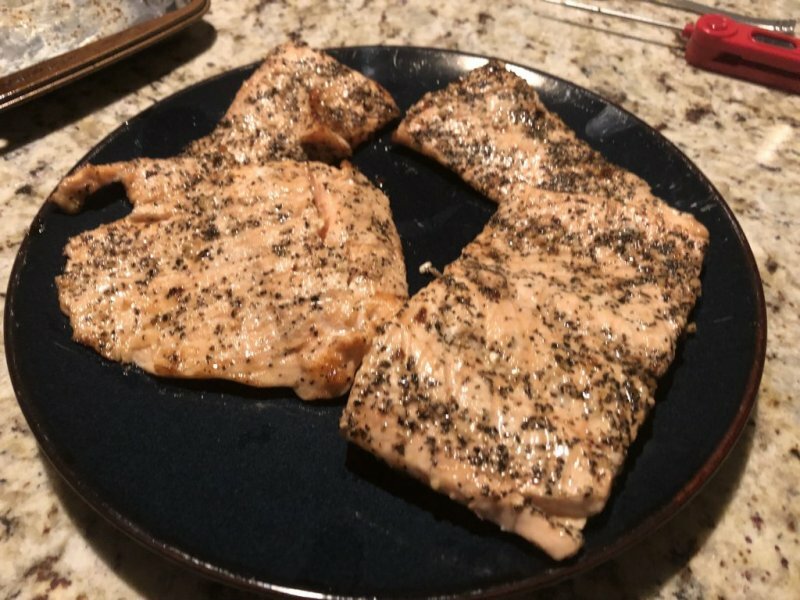 Picked up a ~2lb salmon filet from Costco and and came across a very nice marinade from BBQguys. Took about 4-5 minutes per side on the Joe at 350 degrees and turned out perfectly. Wife has a little left over for a couple salads this week but everything else was gone. Will definitely make this a gain, tons of flavor and just a little kick w/ the pepper.